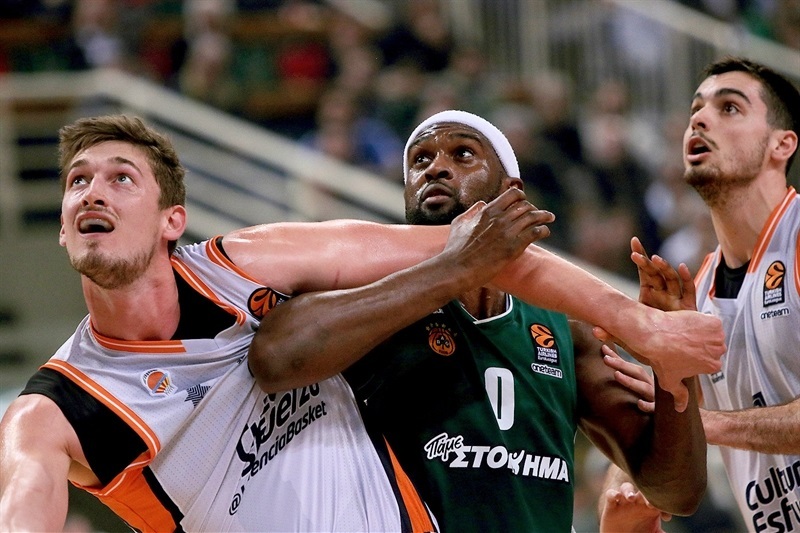 Panathinaikos Superfoods Athens stayed in the fight for the home court advantage in the upcoming Turkish Airlines EuroLeague playoffs by topping Valencia Basket 75-56 in the Greek capital on Friday. Panathinaikos improved to 18-11 in the regular season and will finish fourth if it beats AX Armani Exchange Olimpia Milan next week and Real Madrid loses against Brose Bamberg. Valencia dropped to 11-18 and already entered this game with no chance to reach the playoffs. 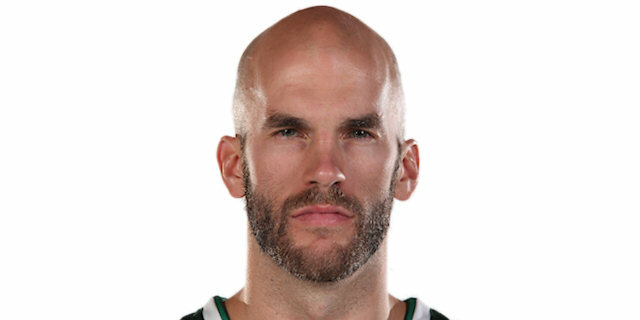 Nick Calathes led the winners with 17 points and 10 assists. It was his 15th career points-assists double-double, tying Milos Teodosic atop the standings. Chris Singleton and Mike James each added 11 points while Adreian Payne had 10 and seven rebounds for Panathinaikos. 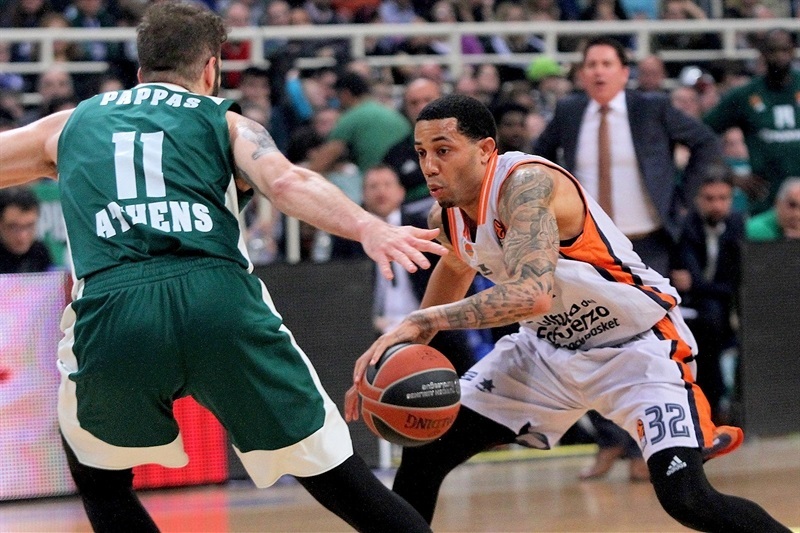 Erick Green led Valencia with 10 points. 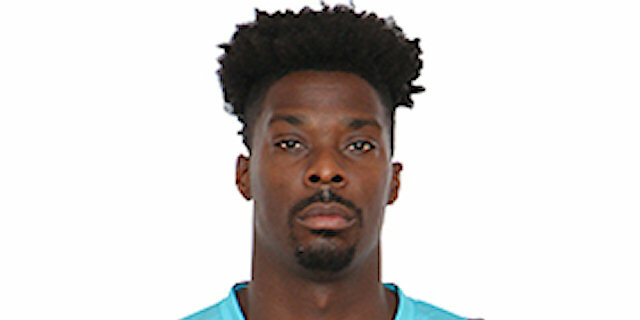 Thanasis Antetokounmpo and James Gist combined for five dunks in a 20-6 opening run which allowed Panathinaikos to keep a 23-13 lead after 10 minutes. 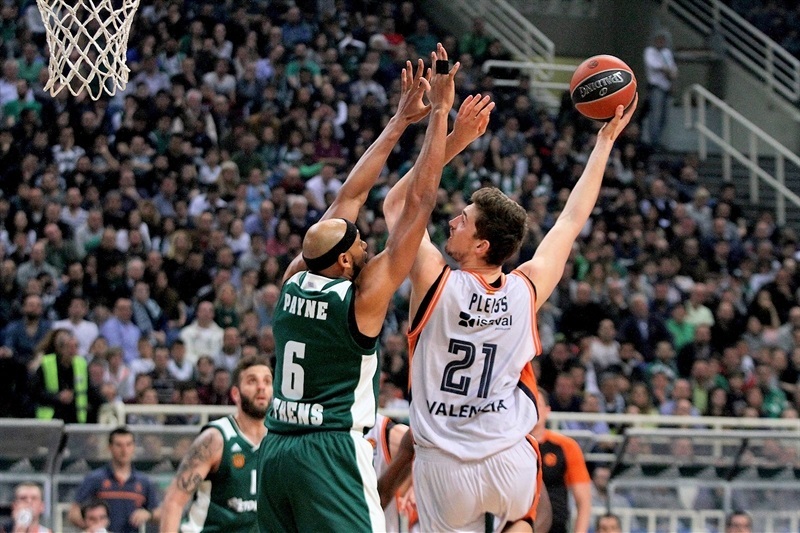 Aaron Doornekamp and Tryggvi Hlinason got Valencia as close as 25-23 but a 9-0 run which Matt Lojeski capped with a triple helped Panathinaikos restore a 40-31 margin at halftime. 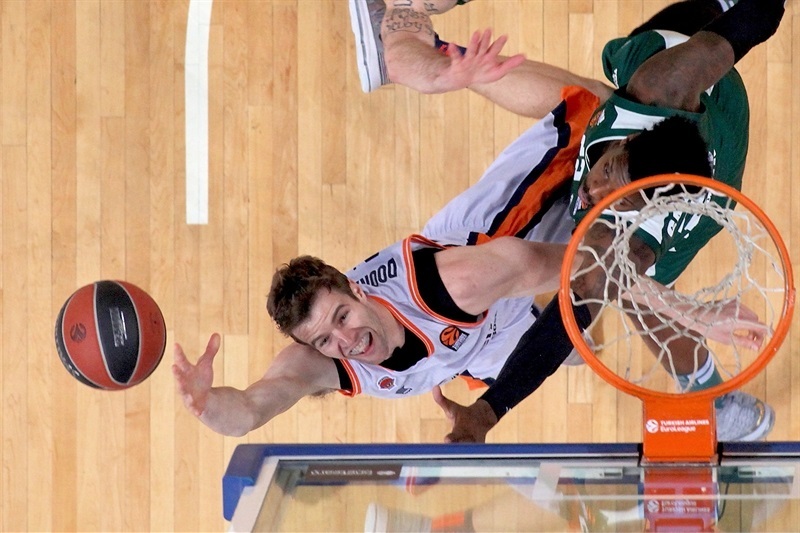 Calathes had seven points in an 11-0 run that broke the game open, 53-36, midway through the third quarter. Panathinaikos kept a 57-47 lead at the end of the third quarter, extending its margin to 70-53 soon after that, and never looked back. Valencia struggled early, scoring just three points - on a triple by Will Thomas - in the opening five minutes. Meanwhile, Calathes and James got Panathinaikos going with baskets, Gist took over with a huge dunk-and-foul and a reverse slam by Antetokounmpo gave Panathinaikos an 11-3 lead. 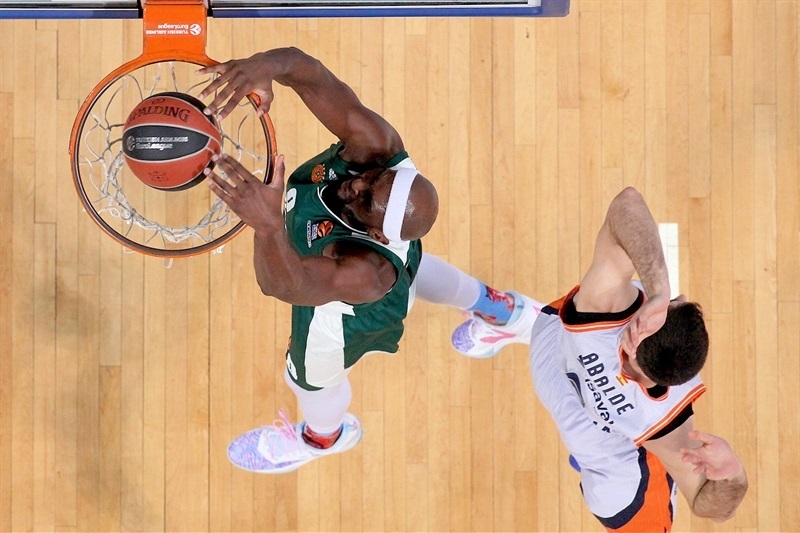 Rafa Martinez tried to change things with a three-pointer but Calathes scored again and Antetokounmpo added back-to-back slams, which Singleton followed with a triple for a 20-6 score. Sam Van Rossom buried one from beyond the arc, getting help from Hlinason and Fernando San Emeterio to bring Valencia within 23-13 after 10 minutes. Hlinason dunked and a reverse layup by Doornekamp made the hosts call timeout, 23-17, early in the second quarter. Doornekamp took over with a wild three-point play and a tip-in by Hlinason brought Valencia even closer, 25-23. 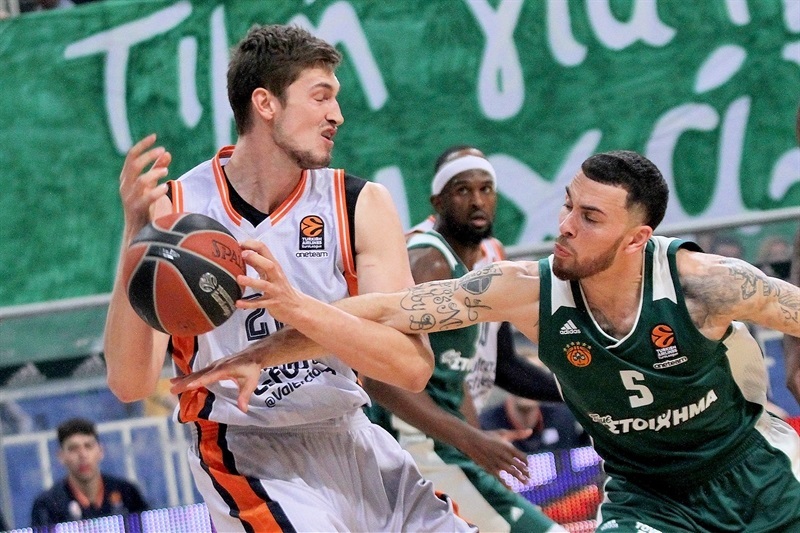 Payne followed a tip-in with a layup in a 9-0 run which Lojeski capped with a triple to restore a 34-23 Panathinaikos margin. Alberto Abalde, Singleton and Tibor Pleiss joined the three-point shootout and after Thomas scored down low, a put-back slam by Gist fixed the halftime score at 40-31. A put-back layup by Doornekamp and a triple by San Emeterio gave Valencia hope, 41-36, soon after the break. 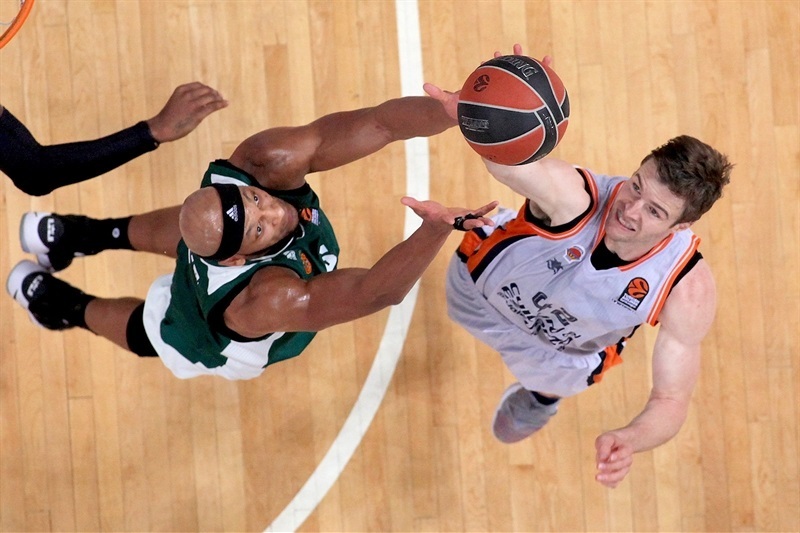 Calathes had seven points in an 11-0 Panathinaikos run, including a three-pointer that boosted his team's margin to 53-36. Pleiss tried to change things with a put-back layup. Green followed a triple with a basket-plus-foul and Sergi Garcia also struck from downtown for a 57-47 Valencia deficit after 30 minutes. 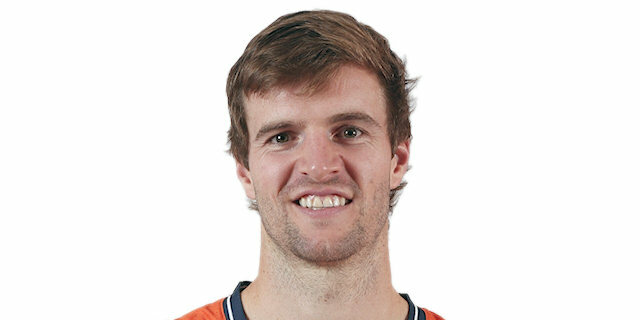 Calathes took over with consecutive layups early in the fourth quarter and a three-pointer by James sealed the outcome, 64-51, midway through the fourth quarter. 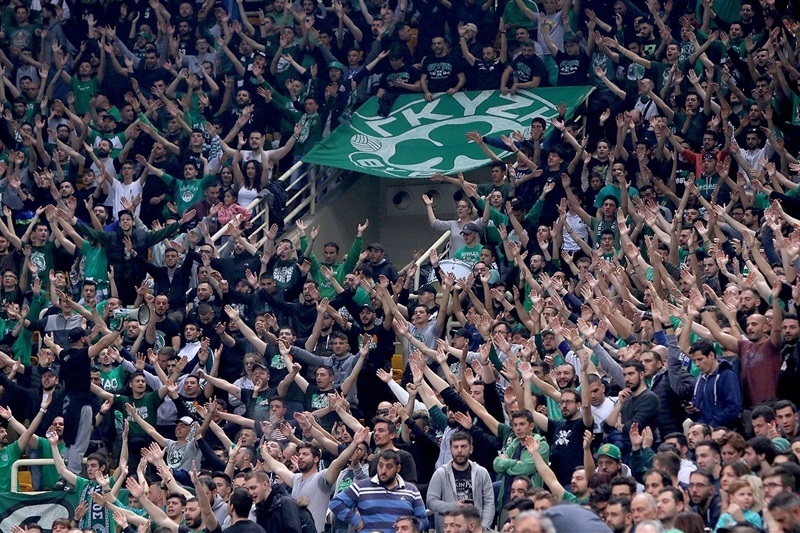 Payne ignited the crowd with a layup-plus-foul and James struck from downtown, allowing all Panathinaikos fans to celebrate the win long before the final buzzer. In its regular season finale, Valencia hosts Maccabi FOX Tel Aviv on Friday. Panathinaikos visits Milan on Thursday. "We played solid today - we had some good moments, especially in the beginning of the game and also in the beginning of the third quarter. I think we played very well defensively and offensively in those moments. After that, we continued but for sure, we could play better. We have to improve and go day by game. Every game is different and today, we did what we had to do. Now we have to go to Milan to play the last game and try to win and wait to see what happens. We have to think like this, it is impossible to think different. We have to go game by game and after that, we will see what happens." "First of all, congratulations to Panathinaikos for this important win in their fight to be in the top four for the playoffs. It was a tough game for us. During the whole season, we had many injuries and in the beginning of the game we were really weak in the paint. 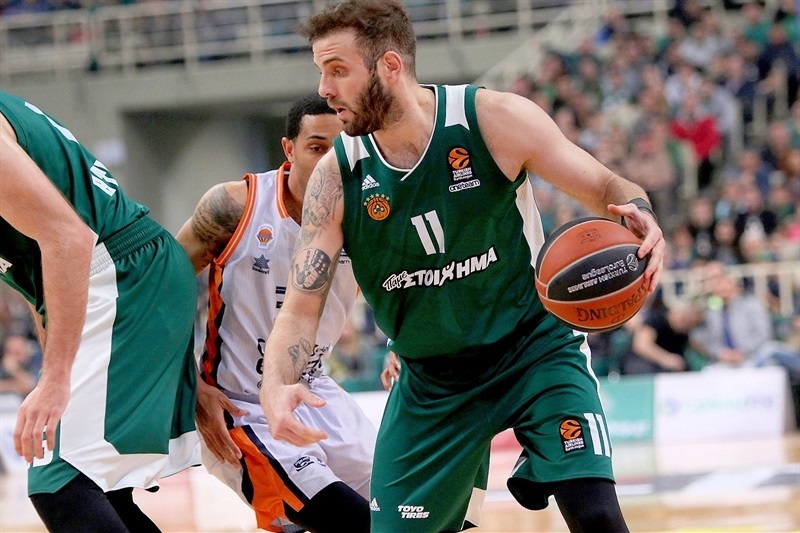 This weakness was the key for Panathinaikos to take its first advantage. We improved during the end of the first quarter with Triggvy Hlinason and especially during the second and third quarters. We did things well, controlled our defense and their advantages and usually, their fast break situations. Our problem was the three-point percentage but the key was in the beginning of the last quarter, as San Emeterio's injury was another problem. Panathinaikos made a very good job on defense in these last minutes, with a short rotation. It is important to say that they used a few players to beat us, but finally we didn't have any chance to take options to win the game. It is a new EuroLeague for Valencia Basket and we have to earn our option to be in it each season through the Spanish League. We made a good start to the season, with three wins in four games, but then the calendar got tougher for us, playing four of the next five games on the road, in tough courts. That made us go into a losing streak and it was hard for us to get out of it. 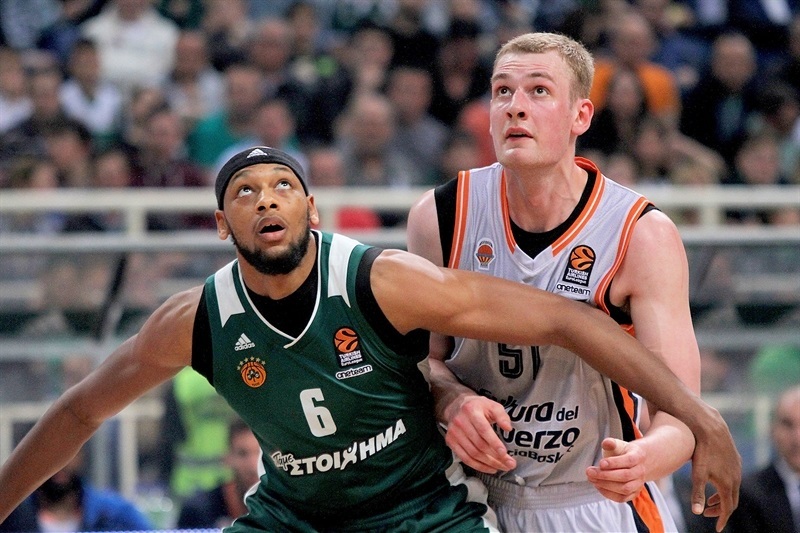 After the game against Panathinaikos in Valencia, we did better in the second half of the season. especially at home, beating first-level teams like CSKA, Khimki and Barcelona, competing well despite our own circumstances. Throughout the season, and not counting San Emeterio's injury tonight, we had 110 injuries in 29 games. That is losing more than 3.5 players per game. 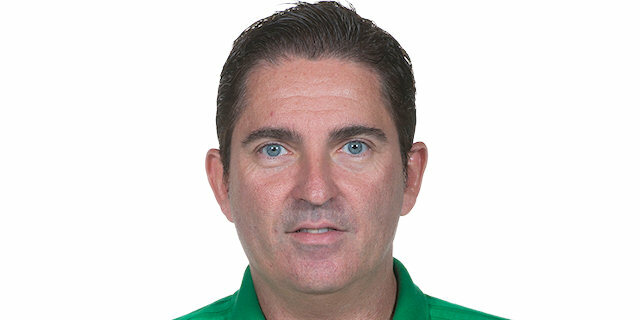 Panathinaikos missed players 20 times this season. That shows we competed in difficult circumstances and in that sense, we have to be satisfied with what we did. We could even be 10th if we win our last game, which would be a success in such a complicated season." 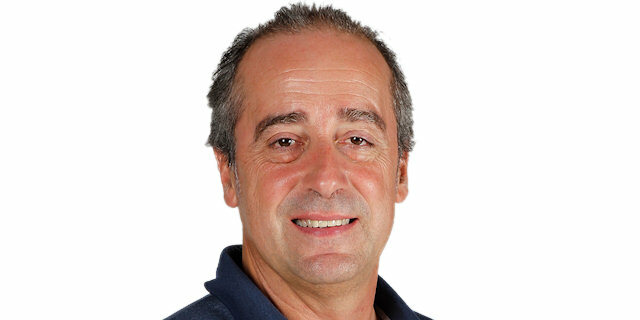 "Tonight was about protecting our home court and getting our last EuroLeague regular season win at home. We shot 52% from free throws but we still did an outstanding job on defense. Hopefully, we can carry this over to next week in Milan and put ourselves in a better rhythm for the playoffs." "I think we keep playing as a team, defensively, it starts from there and then at our home court, we like to run and were able to do it today. It is going to help us - we need one more game to go in Milan and then we will be ready for the playoffs. 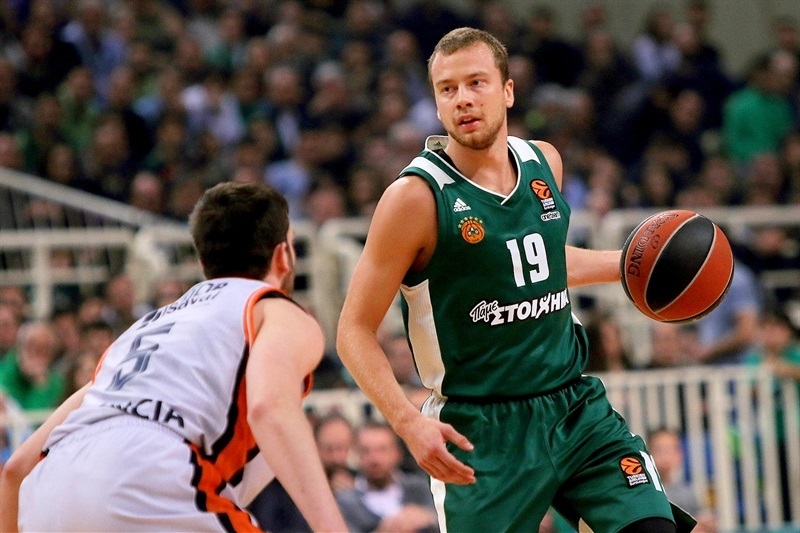 Congratulations to Vassilis Spanoulis (for the assists record), it is a big accomplishment throughout his career. A big congratulations to him." "They are obviously a great team and played really well. We didn't really take care of the ball and they got to the foul line a lot, which hurt us. If you do that in a game, you are usually going to win. They did a good job playing at home and using the fans' energy - and we struggled."